Comments: Charles Arthur Mills (Nee: ) | USA | 1901-1920 | Comments: This photo was recently discovered in my late mother's belongings...written on the back is "This is the bunch that took the $500,000,000.00 valuation of the I.C.R.Ry Co. for the interstate Commerce Commission. Do you see anyone you know." 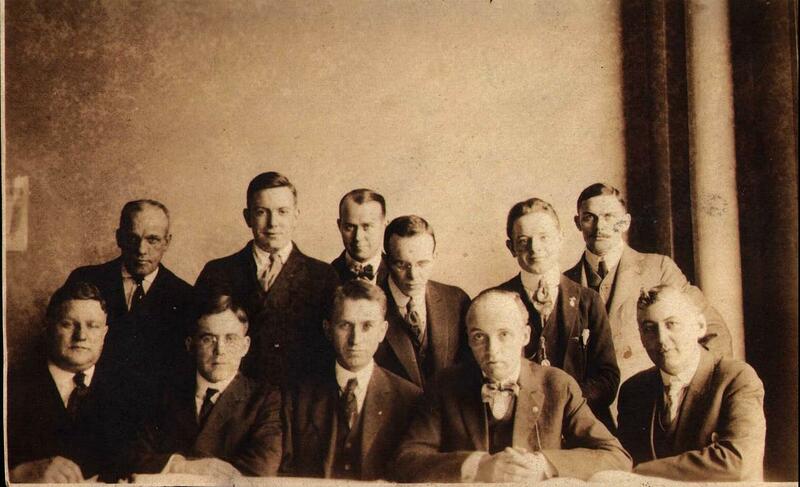 My grandfather, Charles Arthur Mills, is front, 2nd from right of photo.He worked for the Illinois Central Railroad, Judging from the apparent age of my grandfather, this photo appears to have been taken between 1915- 1936 (He died in 1936 in Kentucky).